Subtly colorful and bursting with lush texture, Tropical Island Greenery Centerpiece invites viewers away from everyday life to a far off island paradise. 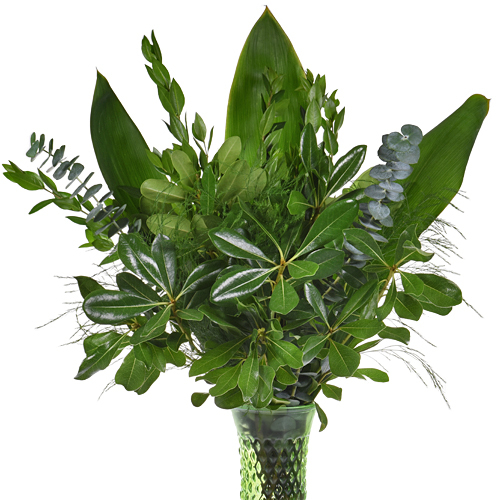 Whether it's the waxy petals of pittosporum, the statuesque stems of myrtle, the subtle blue of the eucalyptus, the broad Ti Leaves, or the soft tree fern, this bouquet has something for everybody. 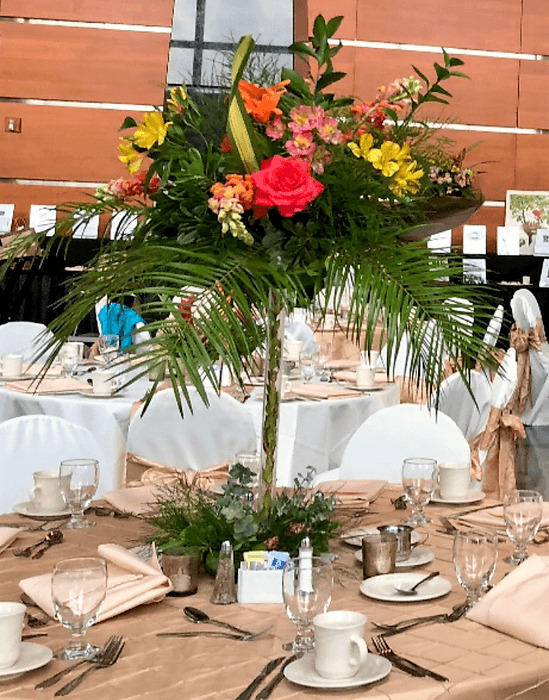 Best of all, this bouquet comes pre-made, meaning that decorating your event like it's your own personal forest starts easily and beautifully! Use as is or add flowers for a look all your own.